We finally saw Pixar’s Coco last night. It brought to mind the cloud of witnesses that are our ancestors, our loved ones that have gone before us; that lived for us, toiling so that we could have what they did not. I know that our Garzanda relatives did so for Steve and Me, and for our families. The stories told have proven that very fact. We’ve come from beautiful, strong people. Perhaps not perfect, but perfect for us… and they leave a legacy of love and devotion, something we’re behooved to continue. 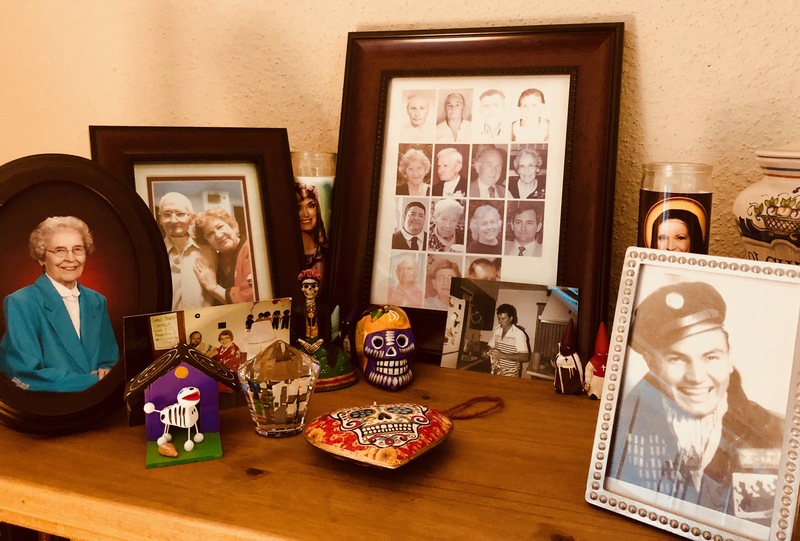 We have our family altar, which we update on a frequent basis, not only with our families’ dearly departed, but also with dear friends who’ve passed from this life. I think it is time for a few updates. I made a small altar last Day of the Dead.